Whatever you call it . . . crostata, galette, rustic pie or rustic tart. Just don’t call me late for dinner. These types of pies are all the rage right now, but did you know I invented this type of pie? Way back in 1960-something? I was going to try to make myself sound younger than I am and say 1980-something, but figured someone would call me out for that! With the internet, you just can’t lie about your age like you used to. I remember sitting in my mom’s kitchen when I was a kid and when she was done making a pie she would hand me the scraps of pie dough that were left over. You know, the pieces that she had trimmed off the pie after she had crimped it together. I would smash them into a ball with my grubby little fingers and then roll them out again into a circle with a juice glass and make my own mini, made just for me, resemblance of a pie. I’d cut up some apple slices and place them in the middle of the dough and then crunch up the edges as far as I could get them. There was always more pie filling than pie dough, so the dough rarely, if ever, met in the middle. Imagine my surprise, when years (many, many years) later I realized that I had been making crostatas all along. Who knew I was on the cutting edge of pie making way back then. I’m just a beacon of trendiness, I tell you. 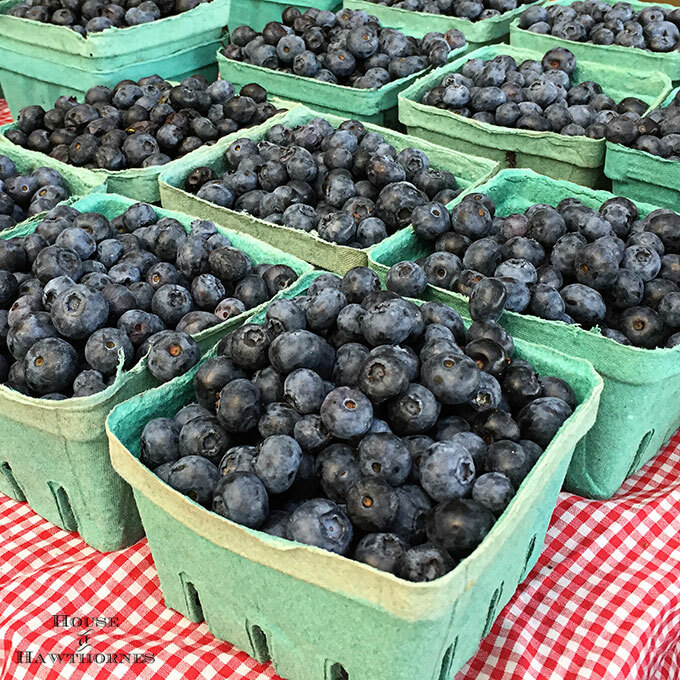 The other day I was hanging out at my local farm market and noticed they had a ton of blueberries. Just begging to be made into a pie. Please throw me in the oven and make the juices run out of me, they seemed to say! I bought a few pints (one for the pie and one for the ride home) and started dreaming of cooking those little suckers! BTW, the farm market does not give you the cute little blue containers, they dump them in a bag for you??? Just saying, when I’m paying that much for fresh blueberries, can’t you give a girl a cardboard carton? 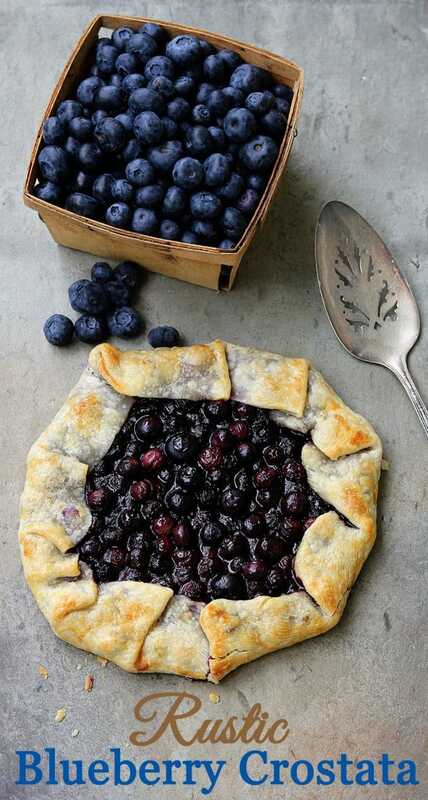 A super simple 30 minute Blueberry Crostata Recipe. 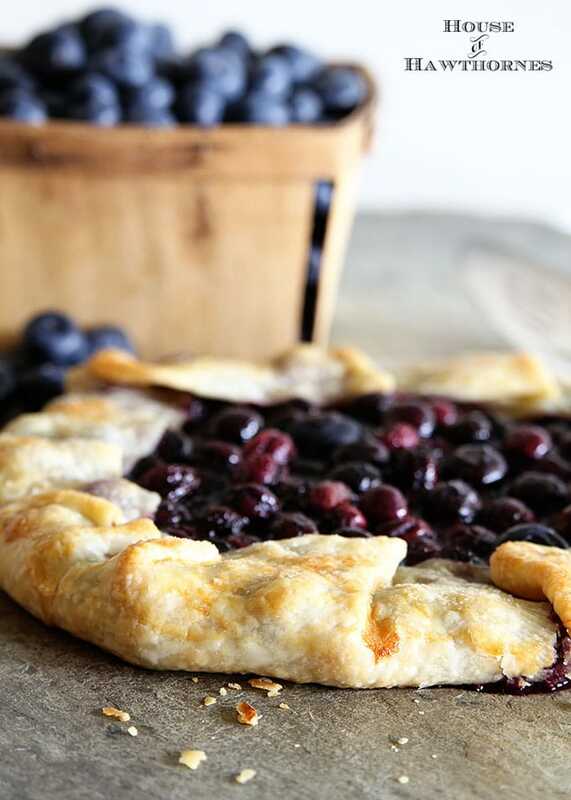 Also known as galette, rustic pie or rustic tart, it is perfect for new bakers. You cannot go wrong with this one. 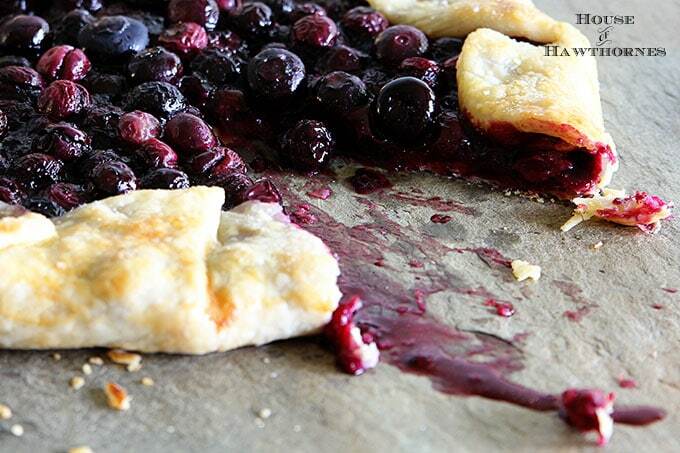 Unroll pie crust and place on a baking sheet. You can use a Silpat or parchment paper, but I just put it straight onto the baking sheet and it did fine (no greasing of pan required). 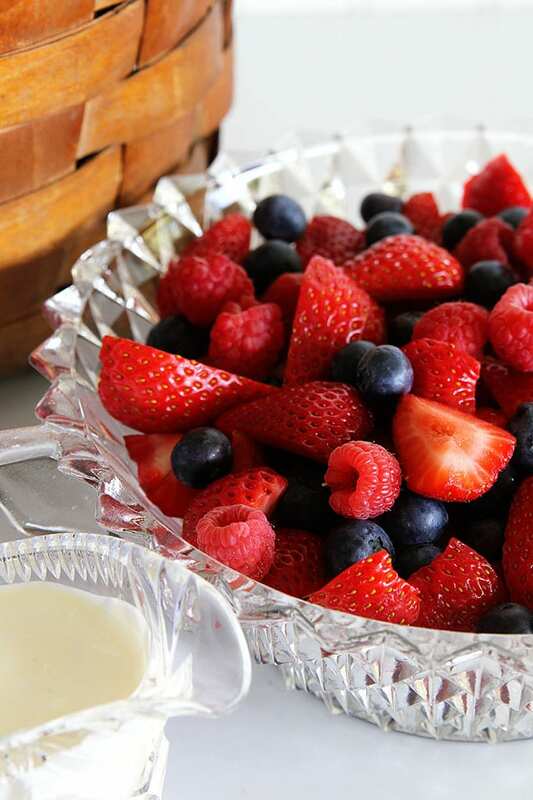 In a medium sized bowl, toss together the blueberries, cornstarch, sugar and lemon juice. Spoon mixture into the middle of the crust leaving about 2" around the edge. Fold the edges over in a haphazard way (neatness does not count here). You want fruit in the middle to show. 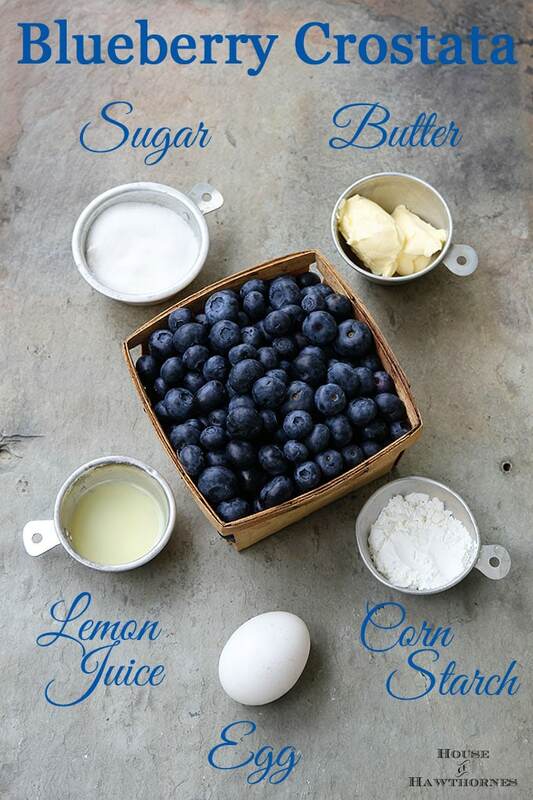 Cut the butter up into 6-8 chunks and place on top of the blueberries. Whisk up the egg and water in a small bowl. Brush this onto the crust and sprinkle with sugar. Bake 20-23 minutes until the crust is a nice golden brown. Once cooled, you can move it onto a serving plate or be all fancy and serve straight from the baking sheet. This is especially yummy with a big scoop of vanilla ice cream on top of your slice. NOTE: Of course you can make your own pie crust if you want to get all hoity-toity on me. And actually I normally do make my own, but it’s summer and if the name of the game is to make a FAST and EASY pie that you can make and devour QUICKLY, then just go for the store bought stuff. Your images are so mouthwatering I can just imagine how delicious the real thing is! I love a galette! Much easier than rolling out the dough and putting it into a pie shell. This is on my to-do list for the weekend! YUMMY! I saw your post on stonegable , your post was too cute. . The recipe looks so yummy. I’m going to pin as I have been buying blues almost very week as they don’t last very long in the house,my son snacks on them all the time.????. My mouth is salivating at the sight of that plump berry goodness!!! And I am with you, why don’t you get something cute to tote your blueberries home in??? Thanks so much for sharing something this yummy!!! That looks just too good. I’m giving Emily the recipe. Omigosh, Pam! 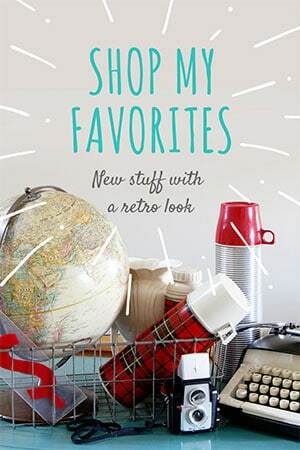 This looks fabulous!! I have to give this recipe a try. I’m drooling looking at your pictures! Oh my goodness–your photography is so good and I love blueberries–I am just wishing I could just jump into the computer and eat the whole thing! yummy looking pictures! Sounds like the perfect recipe to make when I have only two cups of blueberries vs. the four cups needed for a regular pie. I’ve never had any luck getting store bought pie crusts to bake throughly, but yours looks perfectly baked! My mouth is watering. looks delicious. GREAT recipe. It was very yummy 🙂 Thanks for stopping by! 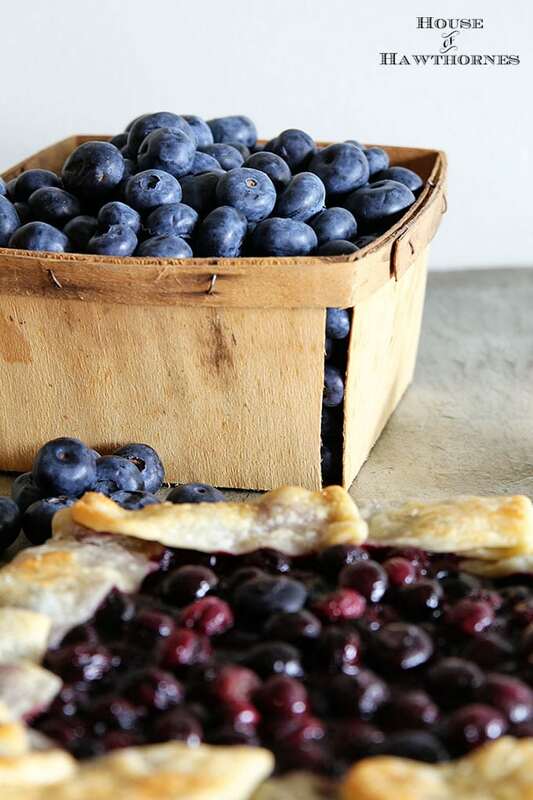 I’ve promised Josie that she and I would make a blueberry pie today but the idea of heating up my oven and having it be nearly 90 degrees outside, is making me rethink my plan. Thanks for the recipe. YUMMY! Oh my goodness Pam! 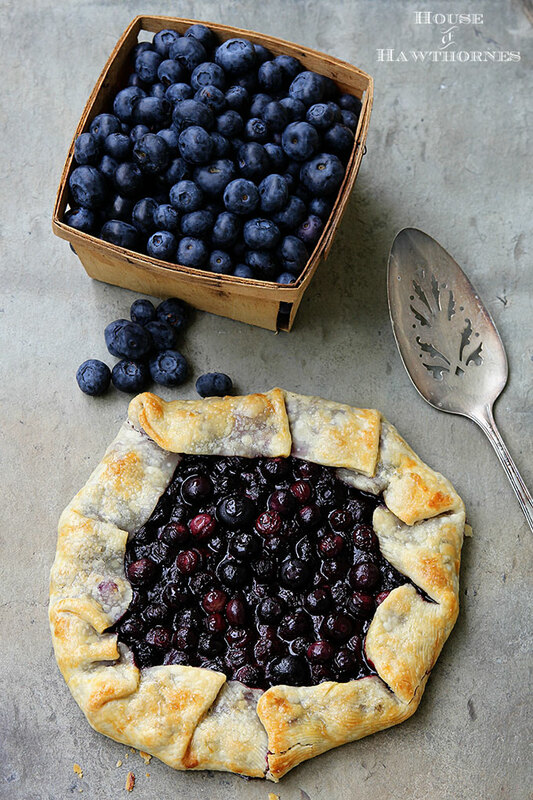 I made your Blueberry Crostata over the weekend and it is absolutely wonderful!!!! Will be making this one over and over 🙂 Thank you so much for sharing. God bless. You’re welcome! It’s so easy to make, isn’t it! 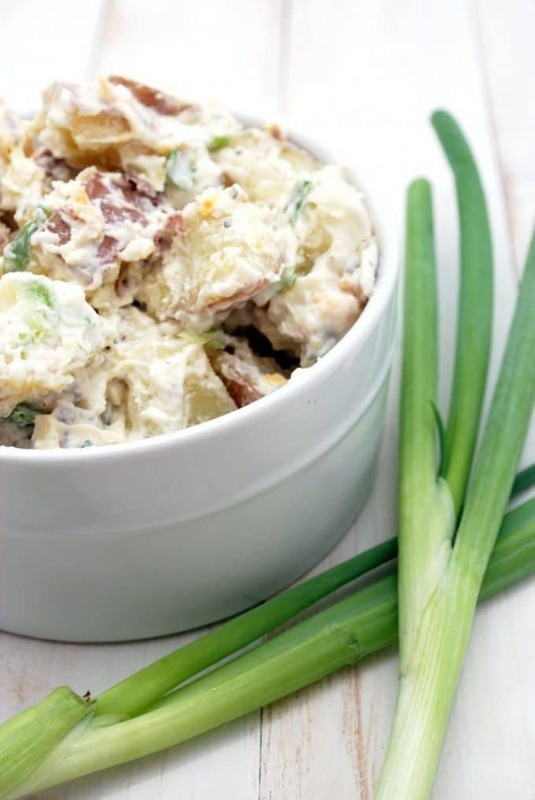 This looks so yummy and easy. Perfect for a great summer dessert. Have a great week. It’s a good thing I never clean my computer because I’m practically salivating on my screen (but it’s in good company of a lot of grubbiness, and sticky spots and who knows what else I don’t clean off of it). This looks delicious and seems like the lazy (wo)man’s pie, which is precisely what I like about it. That and blueberries are just glorious! I’m furthermore glad to know I’m not the only one who can eat a pint of blueberries as soon as I buy it, but sadly, I actually cut out gluten (and all grains and all refined sugar, starch, processed foods, yadda, yadda, yes, I’m one of those people), to cope with severe health problems, but maybe someday I’ll be eating pie again. Meanwhile, I do like to stuff and top whatever I can with homemade jam (3 c. of fruit (BLUEBERRIES! ), 3/4 c. honey, 2 tbsp lemon juice = a whole lot of deliciousness), and make my own mock pie-ish recipes. 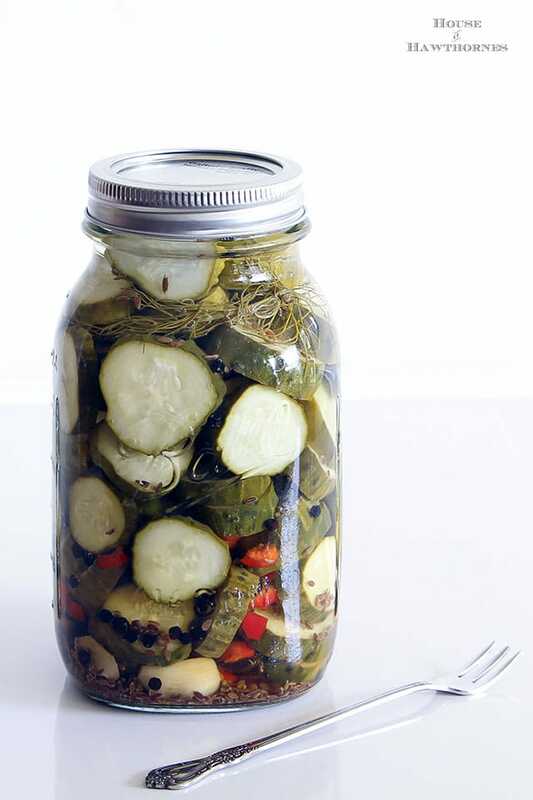 This is the recipe for preserves, they’re so delicious! http://againstallgrain.com/2012/05/23/homemade-blueberry-preserves-without-pectin/ And it’s especially good in this: http://againstallgrain.com/2012/08/11/glutenfree-cereal-breakfast-bars/ Except the dough is really hard to work with and I’ve always failed to get them into proper looking bars, I actually make it more like a cobbler or cake, by putting half the dough in the bottom of a 7″ spring form pan, loading it up with jam, and putting the rest of the dough on top (I spread the dough out into 7″ discs in saran wrap before I put them in the fridge to make it easier when putting it together). And really, I totally understand the struggle, I eventually had to go cold turkey on all refined sugars and junk food, but I can’t recommend Against All Grain enough, for recipes that frankly (and I can’t believe I’m saying this) better than the “real” thing, if you’re looking for some healthier options to satisfy your sweet tooth (and I have a very intense sweet tooth, more like nothing but a whole mouth full of sweet teeth, ha). Oh, thank you! 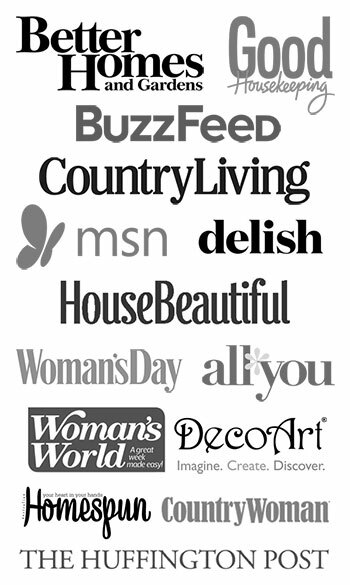 I just got lost down the rabbit hole of her blog! I see she has youtube videos too, so you know where I’ll be spending my afternoon. Okay…this is getting closer to something I can make . A home made top and bottom crust pie scares me (and when guests see it it scares them!). I’m determined to learn how to make a pie crust this winter along with yeast bread…think I’m being to ambitious? But since winter is still a ways off and the fruit is coming on I’m off to the store for frozen crusts ~ thanks for the inspiration!!! If you want to try your own, just Google some pie crust recipes, they are so, so simple to make. They typically are just flour, salt, butter and ice cold water. It’s just the rolling out of the crust that I don’t enjoy. That is why this time of year I just go for the refrigerated pie crusts. Less floury mess to clean up later. Thanks for the lovely, doable, idea! I know that fresh for baking is better than frozen…but unfortunately I have a bag of frozen blueberries that was half-thawed. Do you think that they might work in this recipe? Thanks, again. I’m so sorry, I just saw your comment. Your blueberries are probably long gone by now, but yes, you could use frozen. We have turned to this recipe regularly over the past year or so. It makes our little family happy. Thanks for sharing! Thank you! I’m so glad your family likes it!! !